This Disney heavy photo gallery from Toy Fair 2019 collects Nightmare Before Christmas and Kingdom Hearts from Diamond Select Toys. New final packaging photos have been released for the Kingdom Hearts 3 – Sora and Maleficent 2-Pack Select Figures. 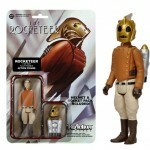 The 2-pack from Diamond Select Toys will be their first action figures from the new game. They had previously announced their Kingdom Heart 3 line up last month. The duo are set for release this Spring and will be priced at $24.99. See the photos after the jump. With Kingdom Hearts III fast approaching, DST is offering their first-ever figures based on the newest game! The first 2-pack features Maleficent with Diablo and Sora with the Starseeker Keyblade! Each 7-inch-scale figure features multiple points of articulation, and each two-pack comes in display-ready Select packaging, with side-panel artwork for shelf reference. Diamond Select Toys has sent along a press release detailing some of their first Kingdom Hearts 3 collectibles. They have revealed two new action figures, a bust and a new assortment of Minimates. The first items start to hit this Spring, with more coming in the Summer. Check out the details below, and see all of the included images after the jump. On the eve of the launch of Kingdom Hearts III, the long-awaited video game sequel, DST has a plethora of new Kingdom Hearts products in the works based on the entire franchise! From action figures to vinyl figures to resin busts, there’s something for every kind of collector hitting stores between now and this summer! In comic shops and specialty stores now, the second series of Kingdom Hearts Select action figures features the world of Space Paranoids, pairing Sora with Sark, Goofy with Tron, and Organization 13 Mickey with an Assassin Heartless! Look for Sora, Goofy and an exclusive Timeless Pete at Walgreens, and Sora, Tron with an exclusive Soldier Heartless, and an exclusive unhooded Mickey with Assassin at GameStop. Also at GameStop, four exclusive Kingdom Hearts Gallery PVC Dioramas are now available, spotlighting Sora, Goofy, Pete and Mickey with Donald. Ranging from 6 to 9 inches tall, each sculpture is made of high-quality plastic, and features high-quality paint details. They can also be ordered on GameStop.com. In comic shops and specialty stores, the Kingdom Hearts 3 Vinimates vinyl figures are based on the game’s new Toy Story looks. Featuring Sora, Donald and Goofy, each 4-inch block-styled figure has an articulated neck for additional posing options. Kingdom Hearts Minimates have captured the game’s main characters in 2-inch mini-figure format for two series so far, including characters from Space Paranoids – Tron, Sark, and SP versions of Donald and Goofy. The spring will deliver the light cycle from Space Paranoids, packaged with an exclusive figure of Space Paranoids Sora! Coming this spring, the first Kingdom Hearts III Select action figures will be Sora in his new look and the sorceress Maleficent! 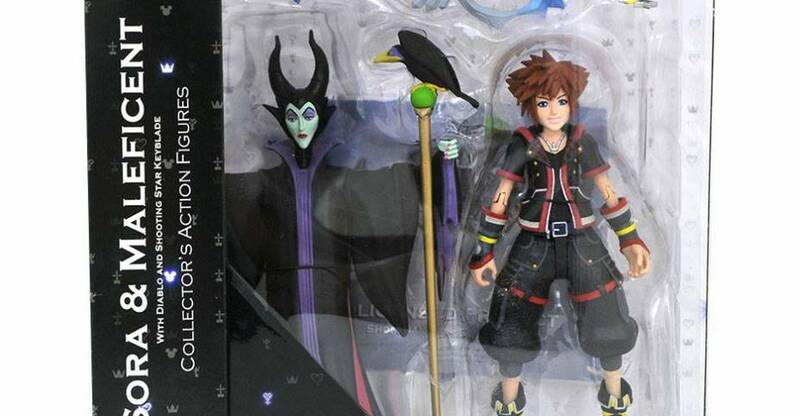 Packaged in a 2-pack, each 7-inch scale figure features up to 16 points of articulation, and includes an accessory – Sora with his Shooting Star Keyblade, and Maleficent with her staff and raven Diablo. Sora’s compatriots Goofy and Donald will also get a re-release in their own two-pack, with shield and scepter accessories, respectively. 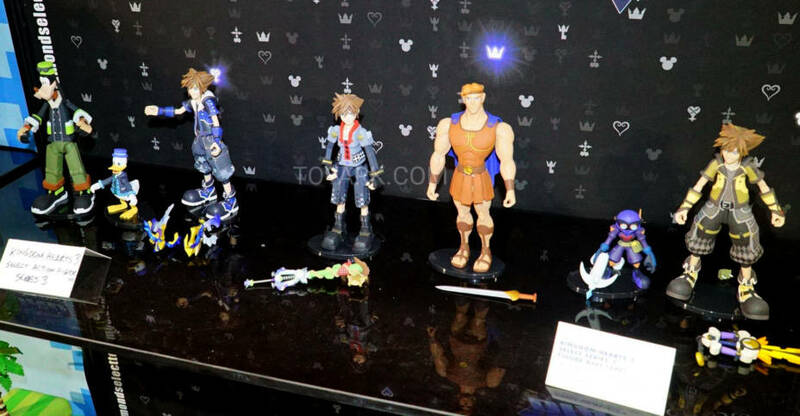 Also in the spring, The Legends in 3D line of half-scale resin busts brings to life Sora as he appears in the new game! Measuring approximately 10 inches tall, Sora is limited to only 1,000 pieces, and comes packaged in a hand-numbered, full-color box with a certificate of authenticity. It was designed by Joe Allard, sculpted by Varner Studios! Then in the summer, Kingdom Hearts Minimates Series 3 visits the worlds of Kingdom Hearts 3! 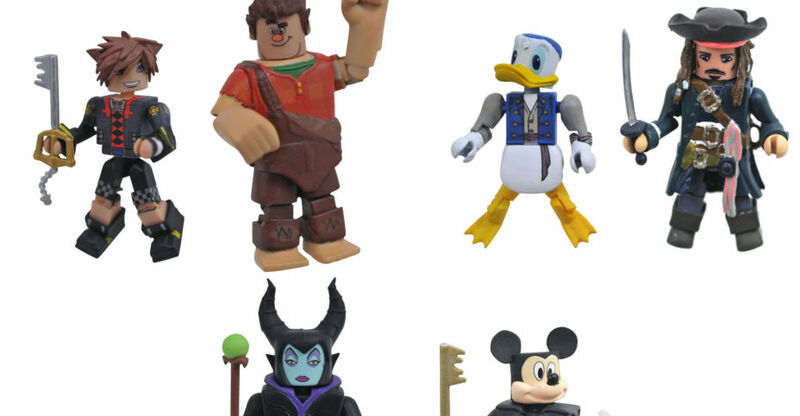 Three two-packs make up the assortment, featuring Toy Story Sora with Wreck it Ralph, Pirates of the Caribbean’s Captain Jack Sparrow with Pirate Donald, and Mickey Mouse with Maleficent! 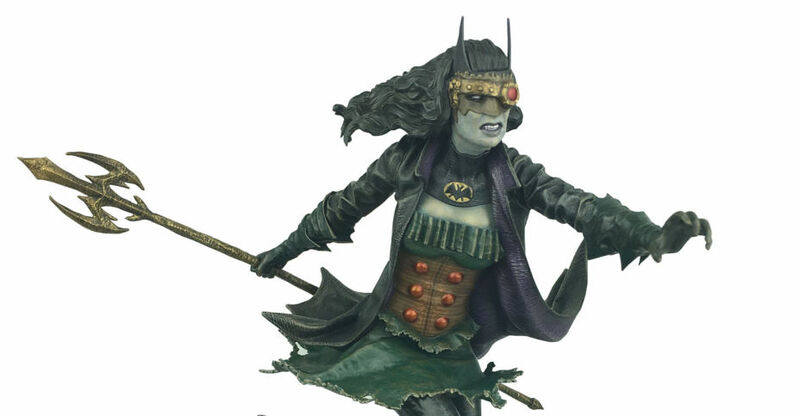 Each 2-inch mini-figure features fully interchangeable parts and accessories. Pick up or pre-order from your local comic shop or favorite online retailer, or visit shop.diamondselecttoys.com/kingdom-hearts! 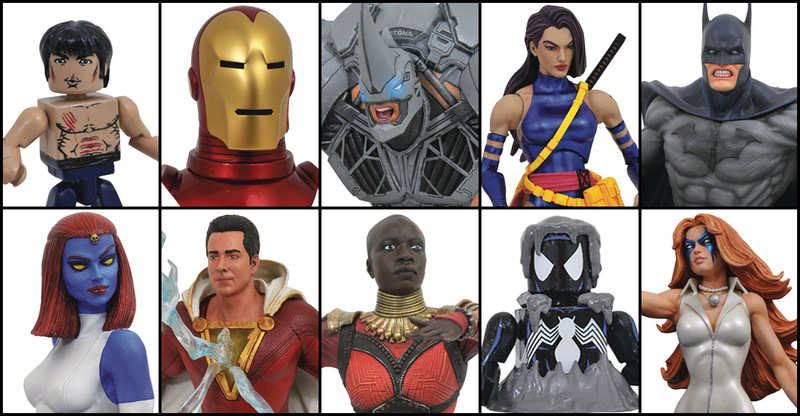 Diamond Select Toys sent along a press release and new photos for a bunch of new collectibles coming in Spring 2019. these include new releases from Marvel, DC Comics, Kingdom Hearts, Ghostbusters, and more. Check out the info below, and see the photos by reading on. Coming This Spring: Batman, Thor, Black Panther and More! 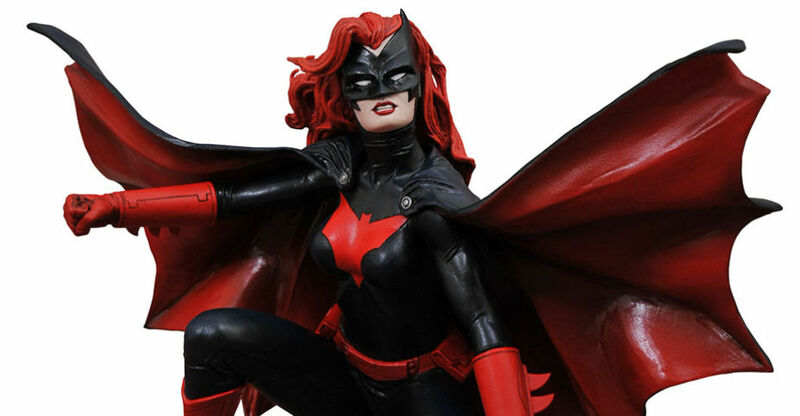 A new slate of solicitations have been released for upcoming collectibles by Diamond Select Toys. Pre-orders should start to go live later today for these. This assortment of items should hit stores in April 219, except for two items which were previously GameStop exclusive releases. There are new Marvel Statues, DC Vinimates, Kingdom Hearts and Ghostbusters Select Figures, and more. Check out the list below. After the jump, we have full details and photos for the collectibles. The Rocketeer and the Maleficent Pops are due in May. The Hanna Barbara Pops are due in June. Check out the images after the jump.